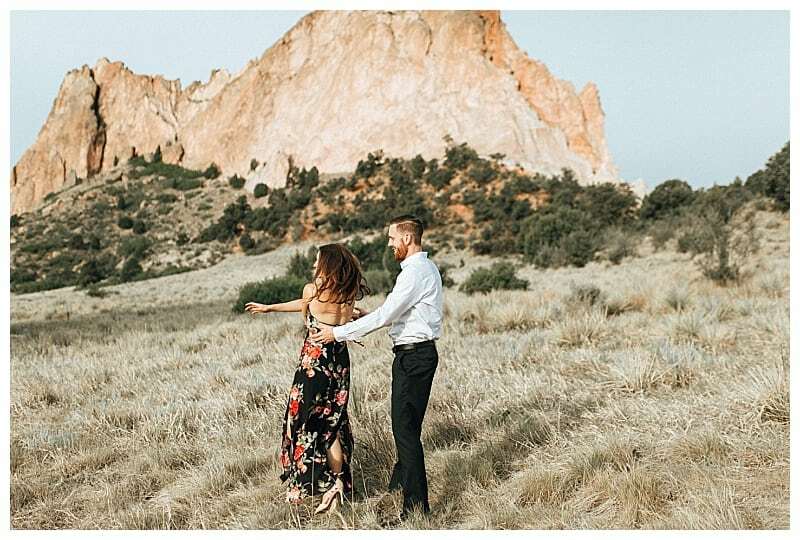 First, if you haven’t seen the hiking boots portion of Cameron and Tori’s engagement session at St. Mary’s Glacier, click here to check that out! 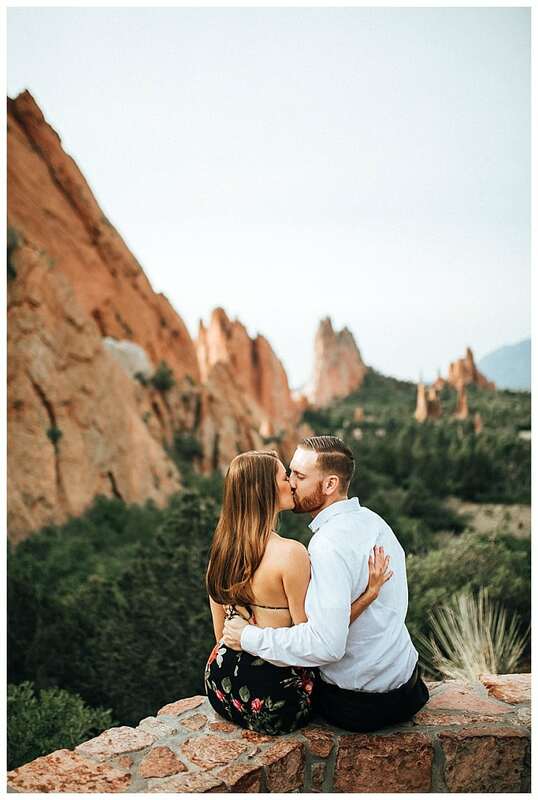 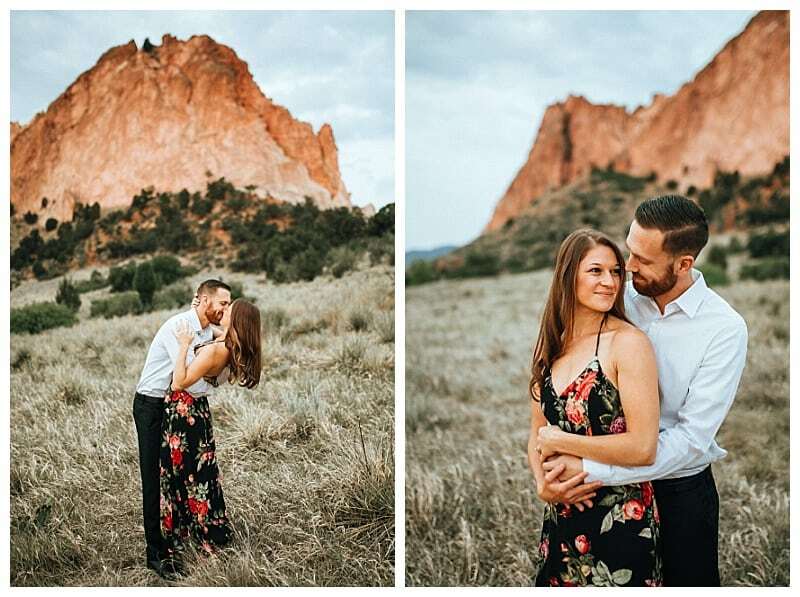 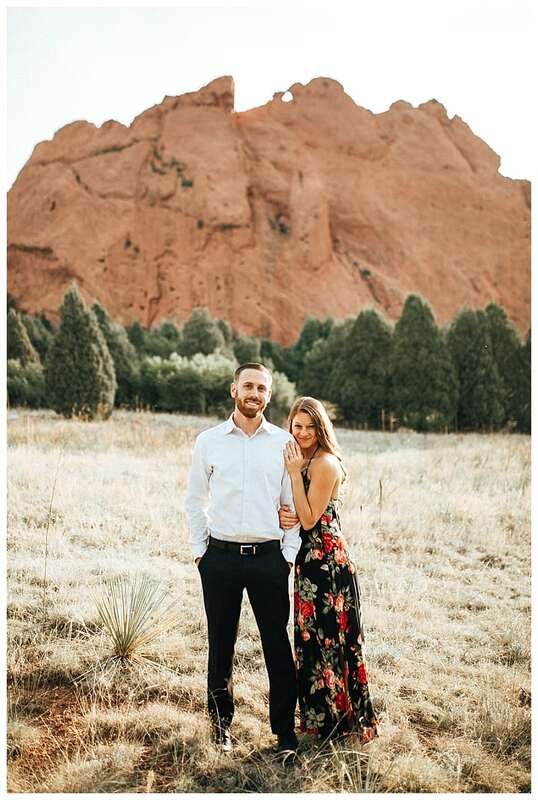 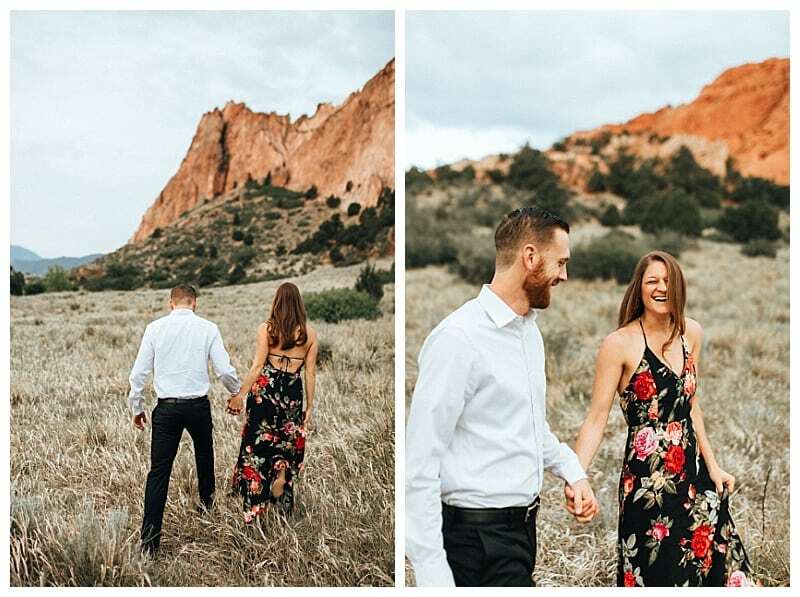 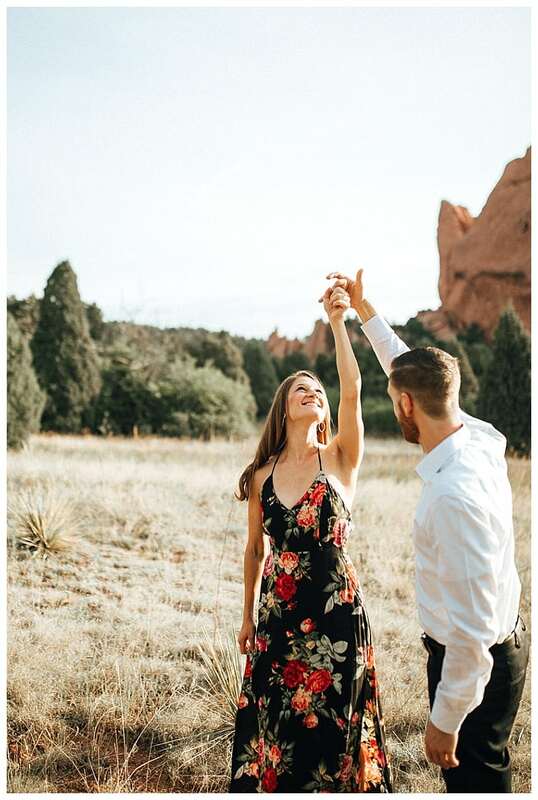 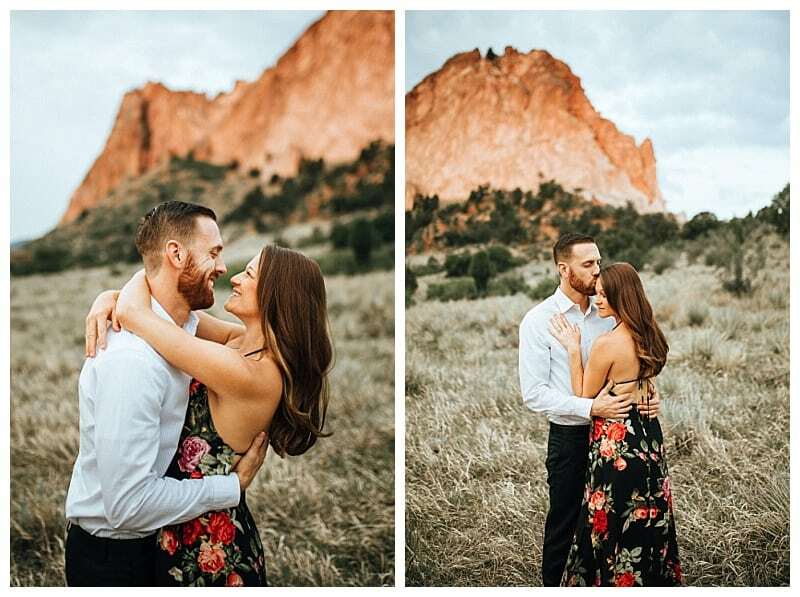 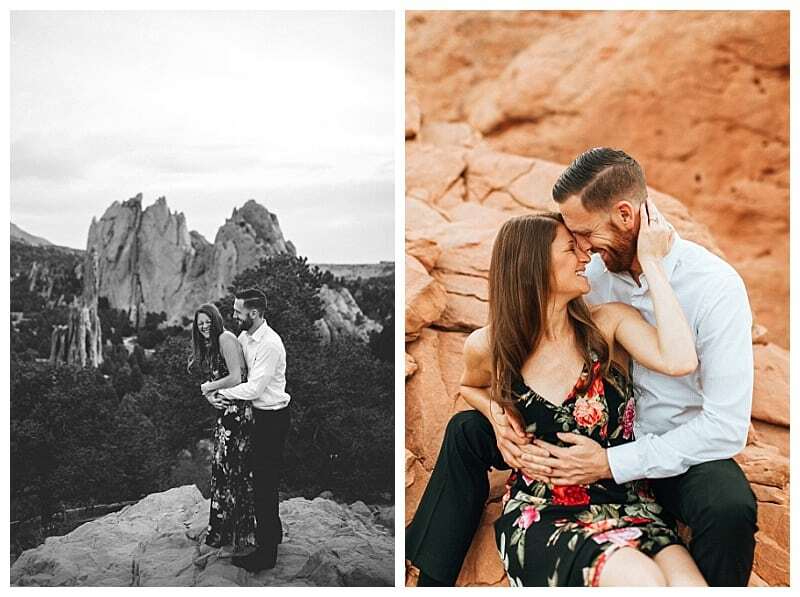 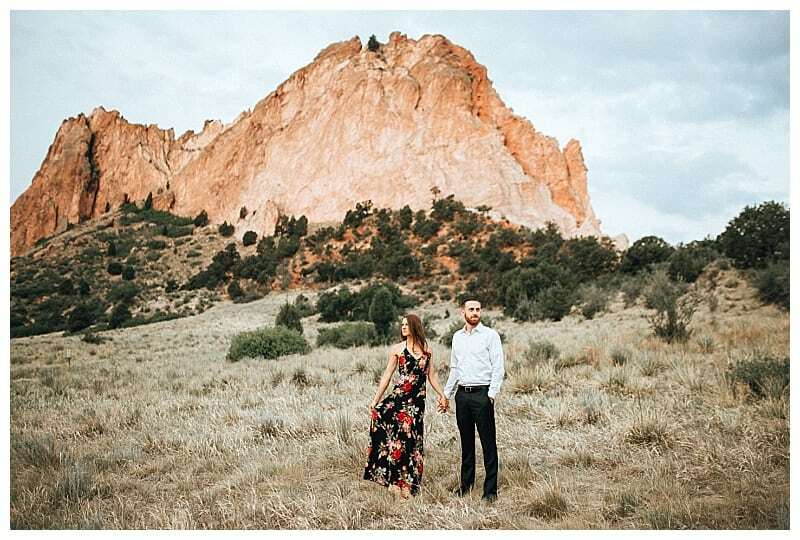 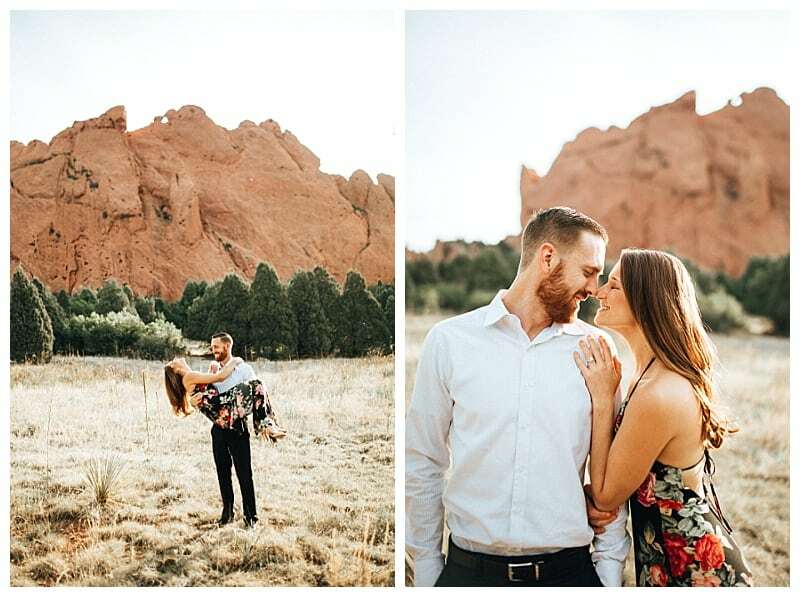 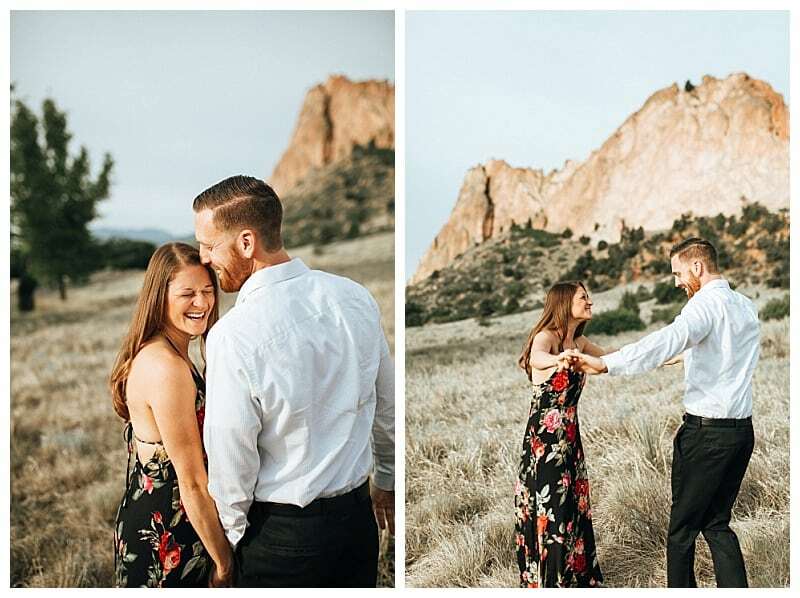 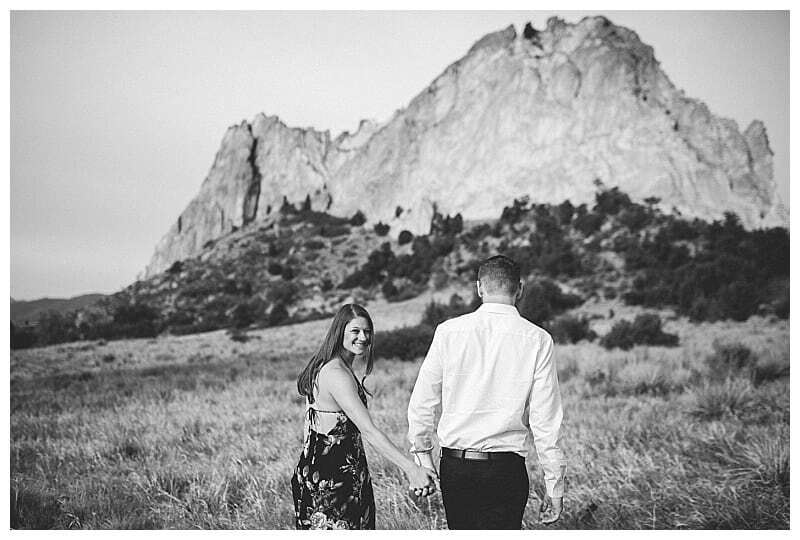 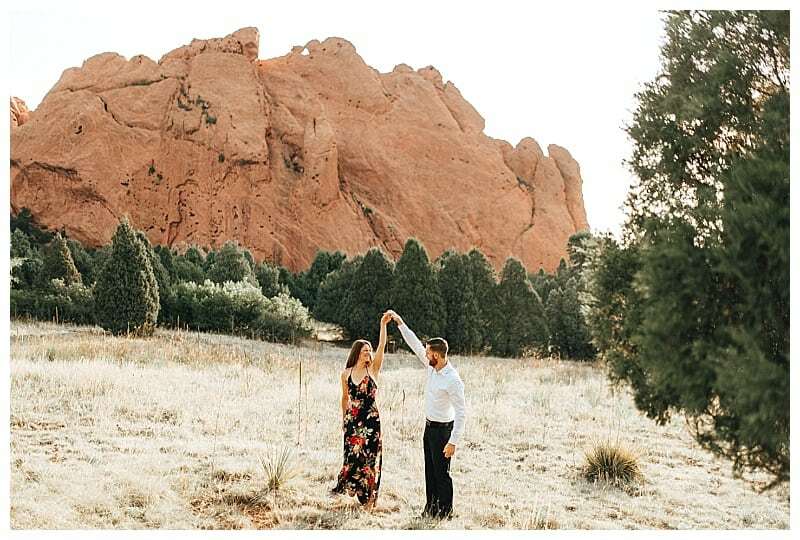 We arrived back in Colorado Springs late Friday night after shooting at St. Mary’s Glacier and it was right to bed because we were up before dawn the next morning to beat the crowds at Garden of the Gods for part 2 of their engagement session. 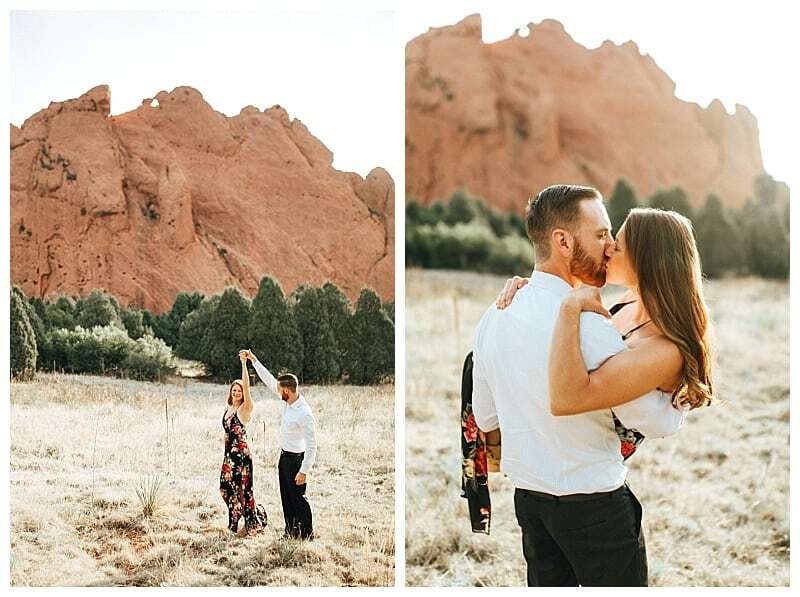 It was a hard decision to make, whether sunrise was worth it (this girl loves her sleep) but I need to remind myself in the future that sunrise sessions are ALWAYS WORTH IT! 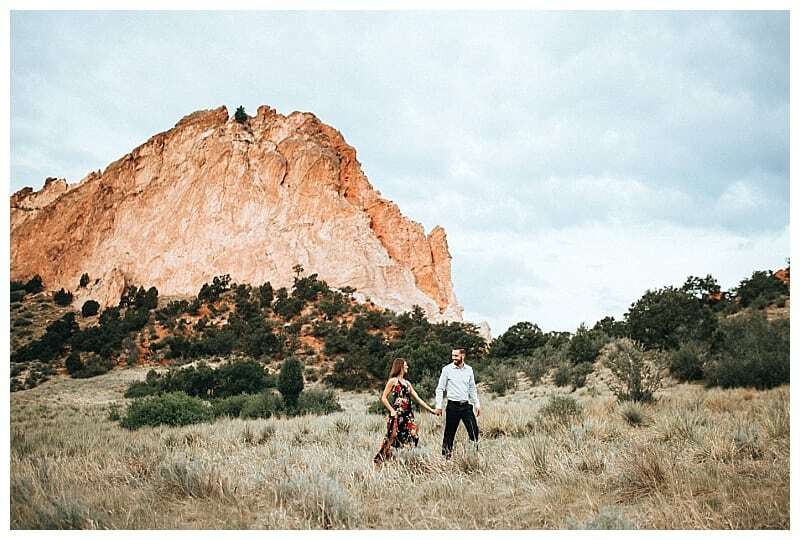 To be at a place like Garden of the Gods, essentially alone, is incredible. 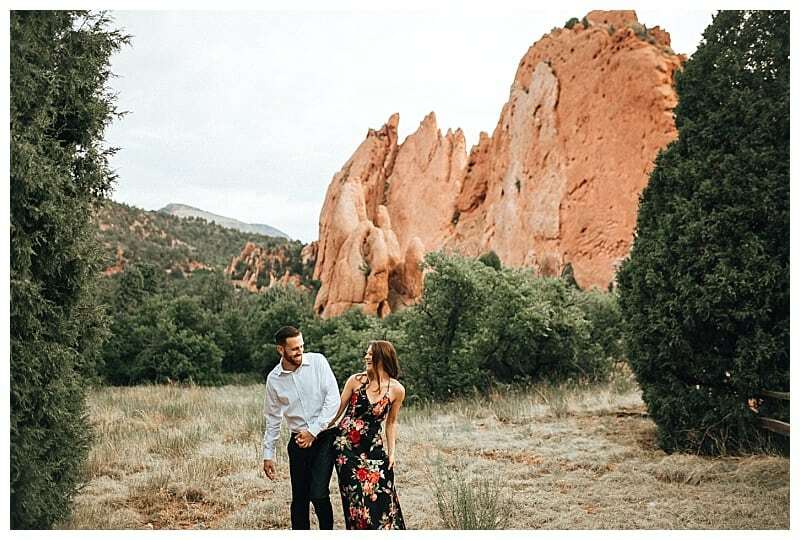 It was quiet and peaceful and as you can imagine the scenery is breathtaking; towering sandstone rock formations against a backdrop of snow-capped Pikes Peak, what a dream! 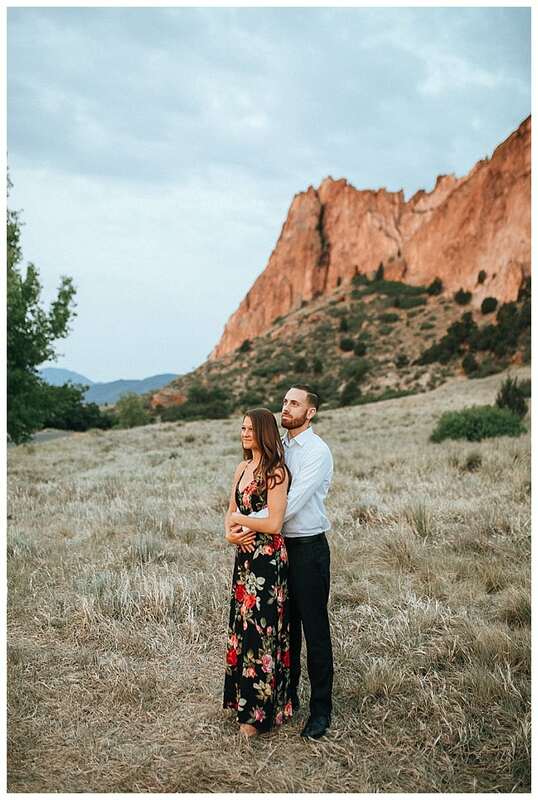 We arrived before sunrise, it was still fairly dark but the sky was starting to slowly turn pink and purple. 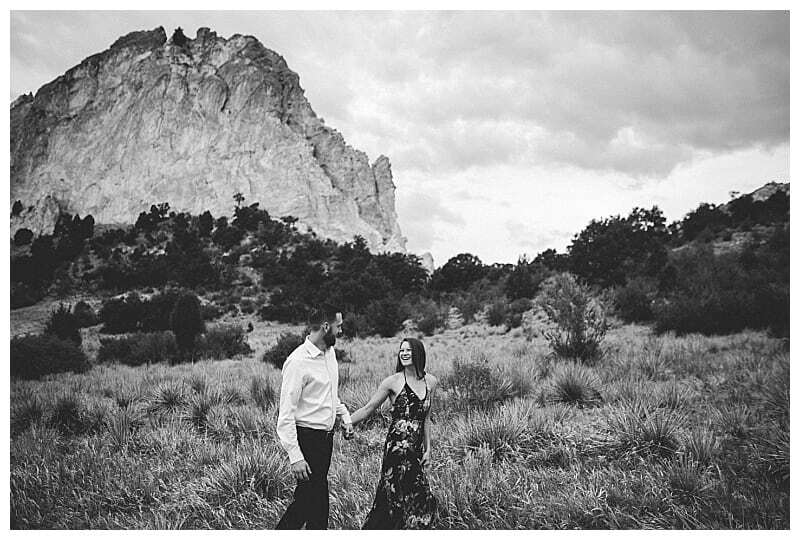 We had plenty of time to wander around, choosing our locations while also just enjoying the slow and quiet morning. 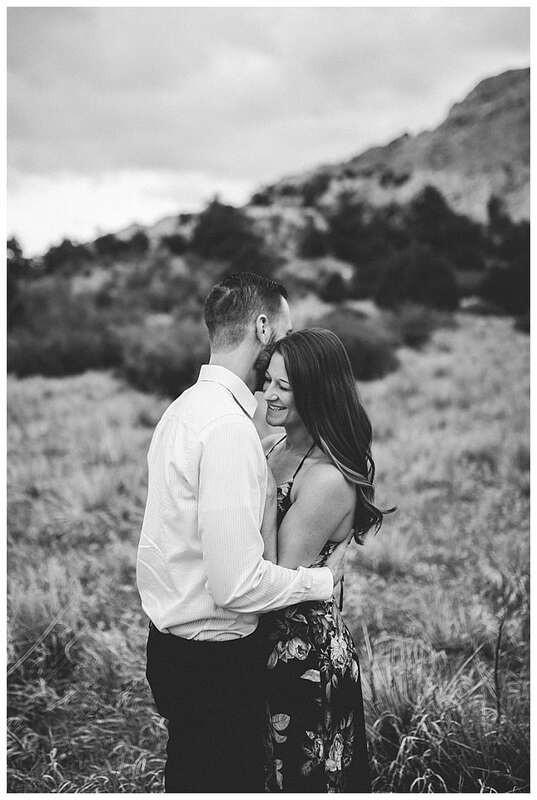 Cameron and Tori were such a joy to photograph. 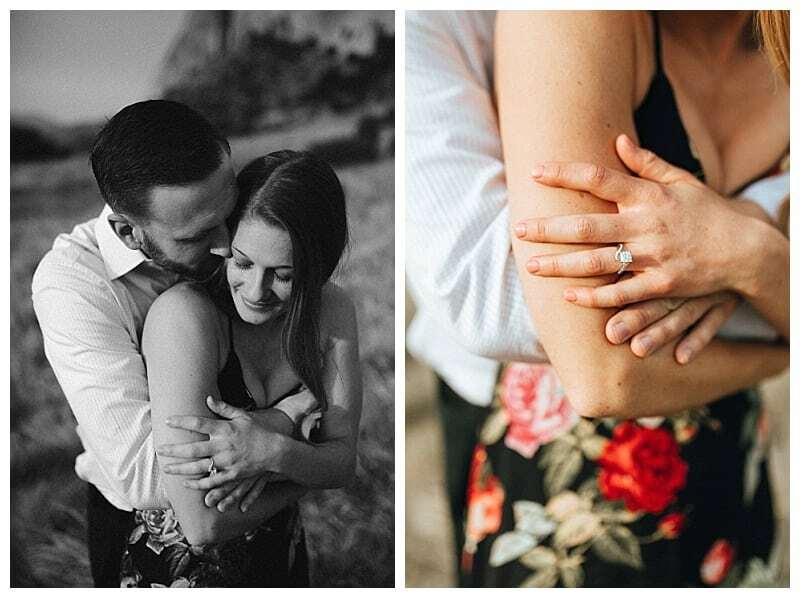 They didn’t hold back and showed me their sweet and intimate side as well as their silly and fun side. 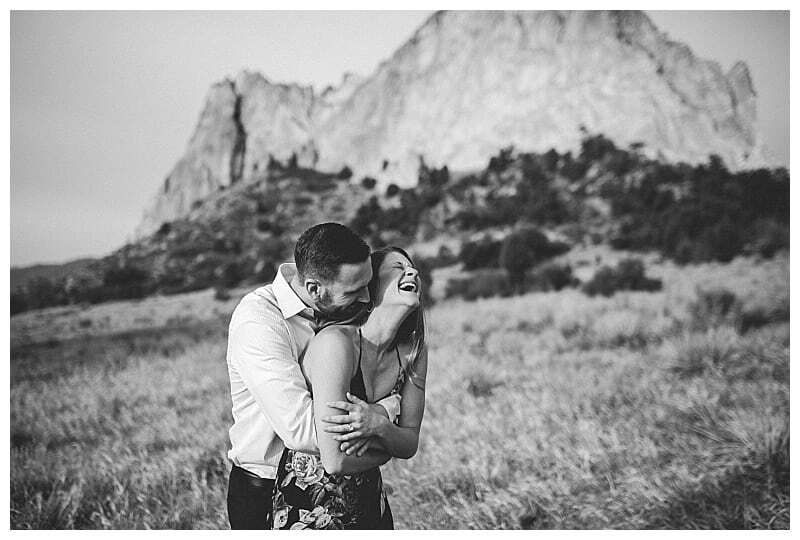 They are really an incredible couple and I’m so looking forward to photographing them again next summer at their Lake Tahoe wedding! 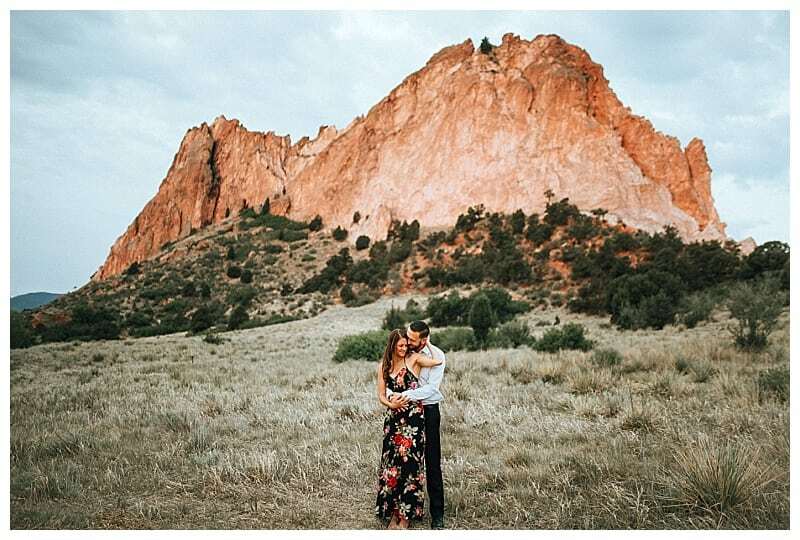 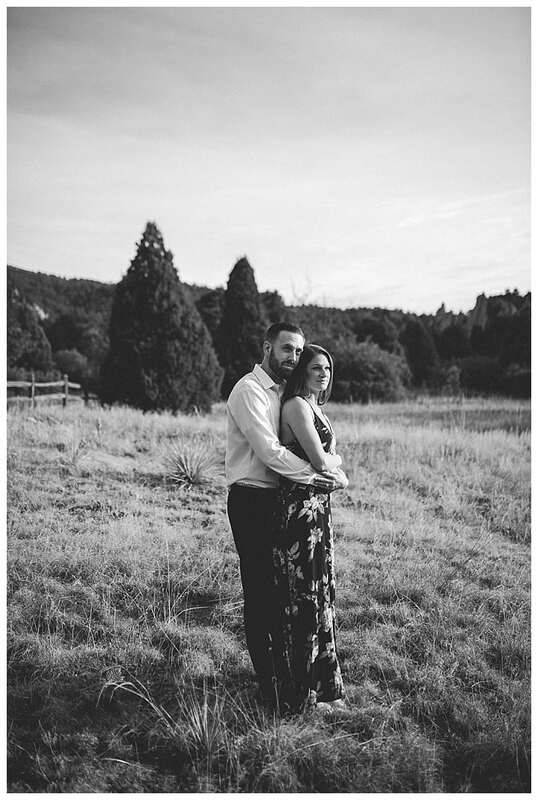 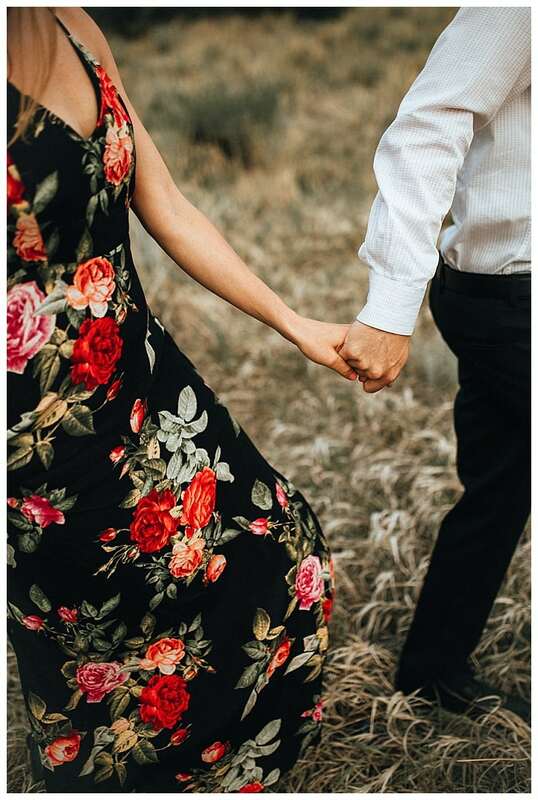 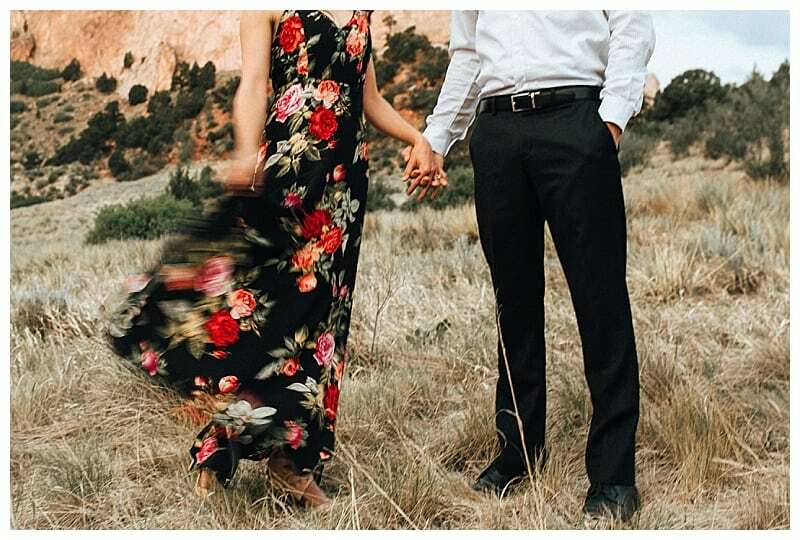 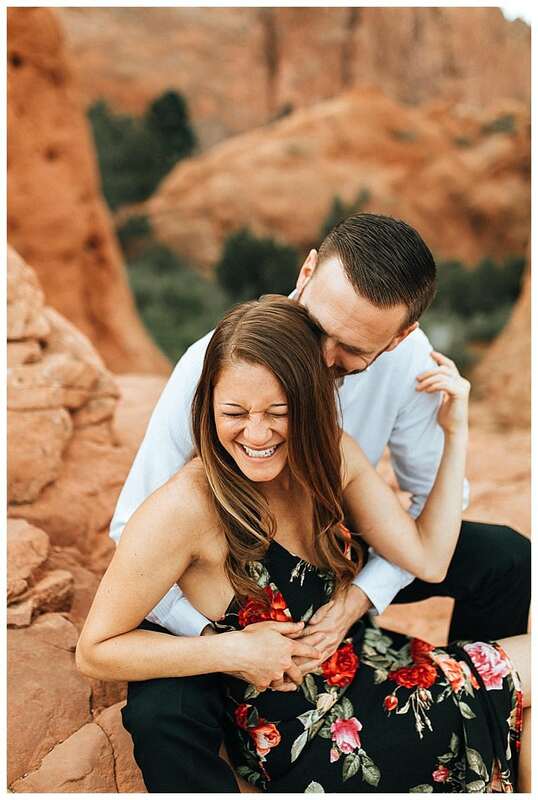 This was probably my favorite part of their engagement session at Garden of the Gods. 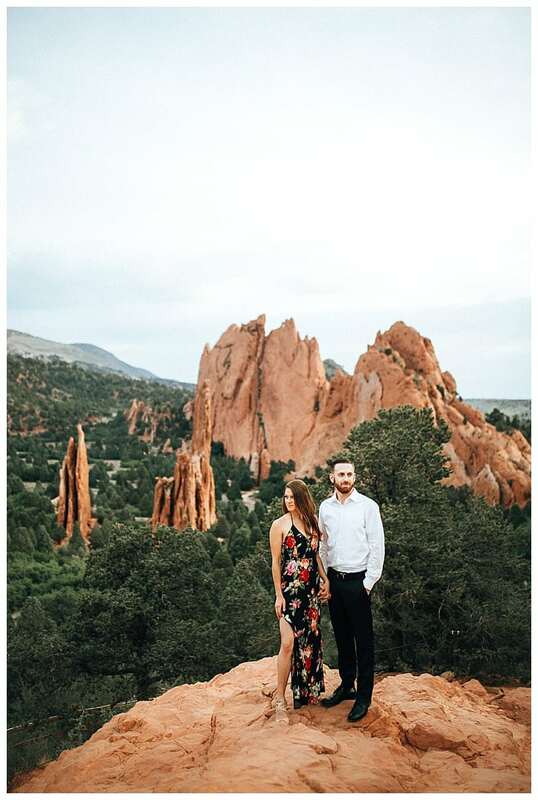 They have this saying, “Hiking Boots to High Heels” and in Part 1 of their session at St Mary’s Glacier we captured the hiking boots side but at Garden of the Gods it was time for the high heels. 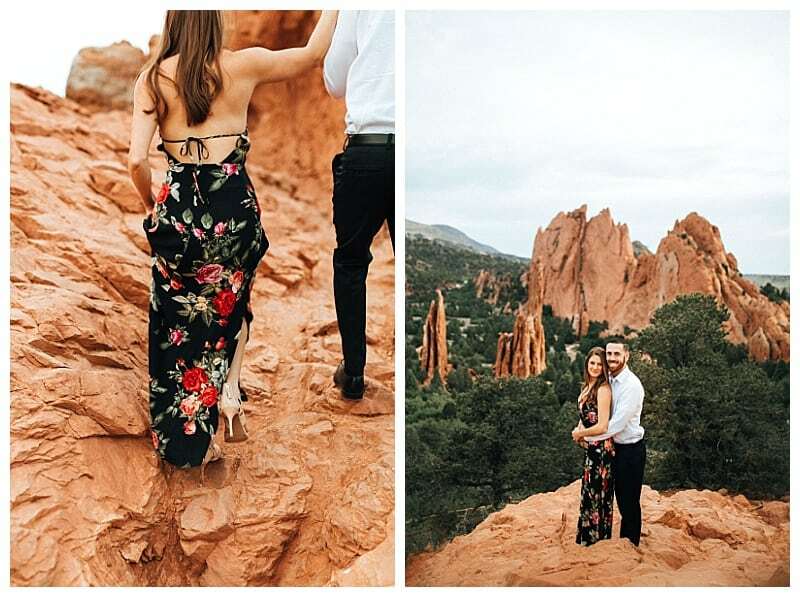 However, nothing is going to stop this girl from hiking, not even wearing high heels. 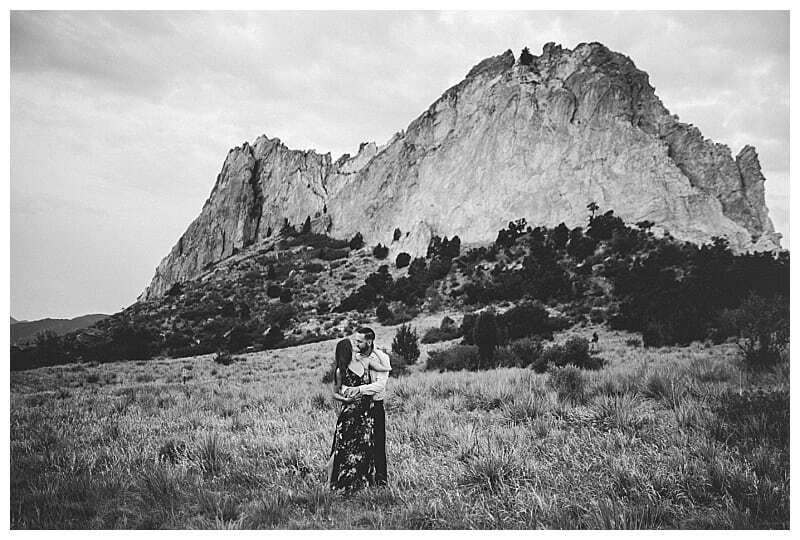 She scaled these rocks effortlessly!